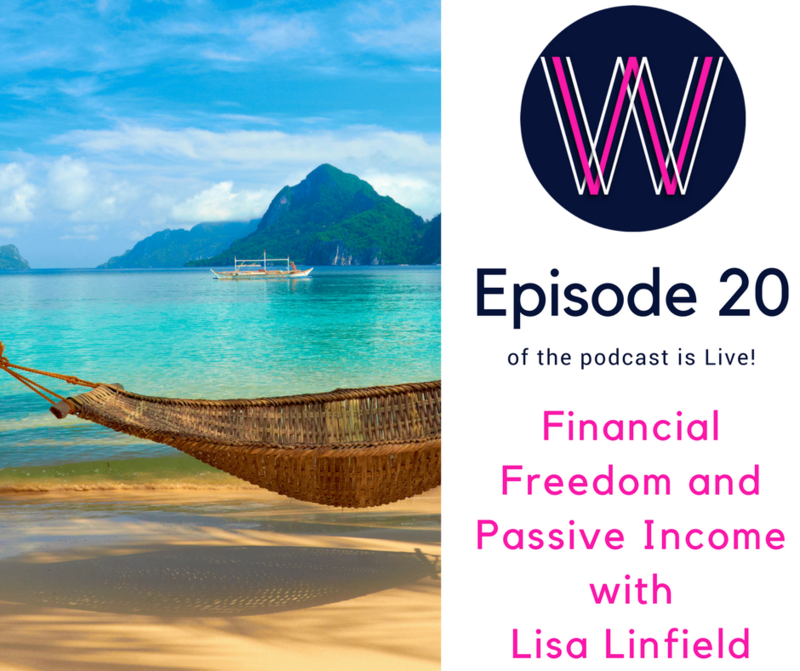 Lisa Linfield discusses the real story behind Financial Freedom and Passive Income. We all would like to live the promise of The Four Hour Work Week like Tim Ferris promises… but the reality is it’s not that easy. Speaker 1: 00:00 Welcome to Working Women’s Wealth, where we discuss what it takes to build real wealth in way normal humans can understand. Here’s your host, Lisa, Linfield. Lisa Linfield: 00:09 Hello everybody, and welcome to Working Women’s Wealth. I hope that you’ve been having a great week and that each day you’re being a little bit more mindful about everything to do with the way you spend your money, spend your energy, spend your time, and make sure that you’re focusing on the things that bring you your best life possible. Today we’re going to talk about this word that’s bandied around the whole time. Financial freedom, and it often comes with another phrase called passive income. Wherever you look there’s someone talking about financial freedom or passive income. I love the title of Tim Ferriss’ book “The 4-Hour Workweek”. The reason why I love it, is because all of us would love to do a 4-hour workweek. The challenge comes is that I don’t even think Tim Ferriss does a 4-hour workweek because when I look at the podcast that he does, the time of those podcasts is longer when you sum it all together, than four hours a week. 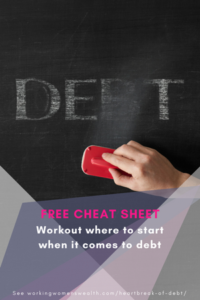 So it really is something that is talked about a lot, but not really clearly understood as to what is financial freedom. For me, financial freedom is being able to choose the life you want; being able to choose what you do today, how you do it and when you do it, and with whom you do it. And so financial freedom means that in money terms there is an income that’s coming in that matches your salary, so you’re not obliged to go to work today because this income comes into your bank account regardless of what you do. So what is passive income? It’s this concept that income from your investments hits your bank account. That something that you invested in or maybe didn’t, if it’s a trust fund or if the money comes from your parents, then it comes into your bank account. The question that you ask yourself, is how and what is true passive income? The only answer that I’ve come about is that trust fund or parental income. The reason why it might also not be so passive is that you might be forced to do Sunday lunches in order to inadvertent [commas 00:02:46], earn it. So passive income and the concept of passive often has a really flawed underlying assumption that passive means doing nothing. And in actual fact, it doesn’t. What really is the honest answer about passive income is that you don’t sell your physical time. So if you take a doctor, for example, they sell time. For every 15 minute slot that you go into see your GP, you are charged a certain amount of money. So they physically trade time for money. The challenge with that model is that it requires you to physically be doing something in order for you to earn your money. It’s the same as being employed by company. You physically have to wake up every day to work in order to earn that money. So, I first met this whole concept or was introduced to it at a very young age, and for that I’m really grateful. When I was having one of those career discussions as to whether I should go into the medical field or into the business field, one of my parents’ friends said to me, “The problem about the medical field is that you’re always selling time, so you can’t create true wealth in the way that you can when you don’t have to sell your time.” Because not having to sell your time, means that you can choose the flexibility of your hours, your workplace, where in the world you want to work. And it was a really important thing that has played in my mind a lot of the time. To a certain degree, setting up my wealth management business is selling time because although I have a lot flexibility around when I see my clients, I have to see clients in order to generate wealth. So it’s a concept that we all need to think about and think about quite deeply. The reason why people who sell products make a lot of money is because you physically have to have the time to set up the products, but once the product is made, once the product has a distribution network, you don’t have to be there yourself in order to sell the product. You can employ salespeople. You can put things and placed on the internet that sells the product. You can do advertising that sells the product. You physically, personally, don’t have to trade an hour of your time for each sale. You might have to put in a lot of time upfront, but once the thing is going, you don’t have to trade that time for the money. So the thing that I want to dispel is this notion that you don’t have to do a lot of work. And it really is something that I want to get through to everybody is the people like Tim Ferriss, Pat Flynn, Amy Porterfield. All these people who are either selling online courses or advertising revenue on their websites or all these things. It’s not that they don’t work, they work exceptionally hard. They just don’t physically have to be present at the point of sells. All of these businesses take time. We look at successful people and we think, “Goodness, wouldn’t it be nice to be them.” But we forget that they’ve had years of honing their skills, building their audiences or client bases, and building these businesses. Let’s take each of the most common passive revenue streams and let’s break it down to see if this stands true. Rental property. Many people buy rental property in order to get the rental revenue. I have a property in London and when I have a tenant and things are going well, I physically don’t have to trade my time for this property for earning this revenue. However, in the beginning, I had to do an enormous amount of work in my corporate job and save an enormous amount of money in order to first be able to afford the flat. Then once I had the flat and to keep I going, when things go pear-shaped, they really do go pear-shaped. When the tenants give notice, there’s a month or two of rental that I miss because there’s nobody paying me the rental revenue. But there’s also costs that continue to come in. So I have to manage that flat exceptionally wisely. If the [geezer 00:07:21] breaks, if something goes wrong, there is always effort in managing these things. Sometimes I think, “Oh my goodness, is the money worth the effort?” And it always is. So rent property is not passive income in the sense of the fact that you do no work. It’s passive in come in the sense that you do the work to set it up, and you do the work to maintain it, but I physically don’t have to be present in London to earn that money. The next one is revenue from a investments. Many people don’t like physical assets. I’m a whole brain thinking coach and in the terminology we would use is that the upper brain thinkers are conceptual and low brain thinkers are concrete. So concrete likes to have the safety of seeing and touching the rental property that they own. Conceptual people like investments. They don’t want the hassle of owning a rental property. So the investments generate two things. Well, so does rental property. They generate capital growth, so growth of your underlying money, as well as, they pay off dividends or interest income. The thought is that I just pop this money in there and it’s all gonna grow fine. I’m gonna make lots of money and when I retire I’ll have lots of money to rely on. The reality is, it doesn’t work like that. In my financial advice business, I see many clients who come to me who are horrified that their investments have not really grown over the last 20 years. Then I say to them, “Well how many times have you actually checked your statement? How many times did you spend 10 minutes, saying, if I’m contributing two thousand grand or $100 a month, is that money reflecting there? Is it growing? What was the growth last month? What was the growth last quarter? What was the growth last year? Is this thing performing?” Then the challenge is 20 years later, there’s nothing I can do about it. I can help it for the future, but I can’t make up the growth that they should have got. It absolutely horrifies me how little people know about their own pension funds that their companies are investing in them. And whether they’re in the right investment. So it takes time to watch those investments. You should be investing time learning about them, seeing what options are available. Going to those pension forums that they hold in the company, and really educating yourself. 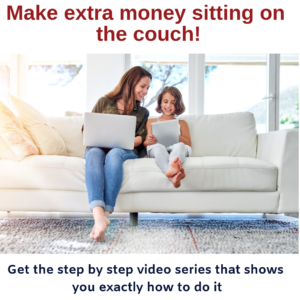 If you want this money to grow to the best that it can grow, so that you can get free money on free money, then you need to be actively involved. You can’t just put it away. I say to all my clients and to all you out there that you should be spending at least half and hour a week on your money. So then what’s other ways? Well, many people these days, especially in America, are selling online courses. Again, you got to do a lot of work upfront to create an online course. You have to do videos and produce workbooks and things like that. Once the course is created, you have to do a lot of advertising, and build a community and people who are gonna buy this course. Then you’ve gotta respond to the questions of the people in the course, hold online live Facebook chats, do many different things. So the fact that you physically don’t have to be present at the same time as the transaction happens, someone in Bangladesh could buy your online course while you’re fast asleep. You don’t have to be physically present, but it earns money for you while you’re not having to physically face the customer. That’s the concept of passive income. That your money can earn money for you whilst you’re not physically present, and in that, comes freedom. In that, comes the ability to work when you’re not having to be present with clients. To go on holiday with your kids for a longer period of time knowing that you’ll wake up for two hours every morning, and catch up on your work, and then be with them for the whole day, and work two hours in the evening. I’ve really enjoyed that kind of flexibility because it means that I can be much more present, much more often. I can work at time when my kids aren’t needing me to be present. That is huge. Families the most important thing in my life. To make sure that I can be physically around for my family when they need me, has been the greatest gift of starting my own business. But there is a big, big secret you need to know about passive income. Passive income streams work best when you keep the money in that stream. So when you want to build enough rental properties to replace your salary, you need to take all the money, all that profit that you’re earning from your rental property, and save it, and save it, and save it. So that you can put the deposit for your next rental property because you need scale to build up these businesses. When you’re having investments, you need to make sure that you don’t take out the interest and the dividends, and spend that money. Because the real compound growth comes when you reinvest that money back into your investments, so that you can buy more units of investment and make more money. When you are building your online training course or selling something online, you need to take the money back and invest it in marketing, so that you can reach more people, and sell more courses, and build a better offering. So the secret of passive income is that you pretend that that money never existed. I know it’s hard because you sit there and you think, “Goodness, I’m doing all of this work and I really want to take the money out and go on a holiday.” And you can do that. But your business will grow faster, or your investment will grow faster, or your passive income will grow faster if you keep reinvesting that money and bite the bullet now to make sure that when it is that you want to retire, you’re able to do it. Because the money that you have from investment or from passive income is equal to or greater than the money you currently earn. And that’s the name of the game. The earlier you do that, the earlier you’re able to retire from the constraints of a corporate or a nine-to-five job and start doing different and other things that you love. It takes time to build a passive income, so definitely start choosing now the things that you’d like to do that you can work on slowly as you go and build more and more and more passive income. I’m Lisa Linfield and this is Women’s Working Wealth. And I’d really love to ask for your support. If you enjoy these podcasts and your learn a lot from them, rate and review this podcast on iTunes. The reason why I ask for that and the reason it makes so much difference to me, is that it ranks more highly in the search engines. And by ranking more highly in the search engines, more people can learn more about money and then I don’t have to spend as much money advertising the podcast to teach people about money. My goal is to teach a million women about money. I’d love your help and appreciate your support in enabling me to achieve that goal by spending two minutes to rate and review this podcast on iTunes. Take care everybody and have a great week.